Alluka Zoldyck is the second youngest child of the Zoldyck Family. Alluka is said to be a dark, uncontrollable child with the ability to grant wishes but can also cause large numbers of brutal deaths. Because of this vastly abnormal ability, Alluka has been locked up in a vault, behind four 10-digit-keypad password-protected security doors at home. 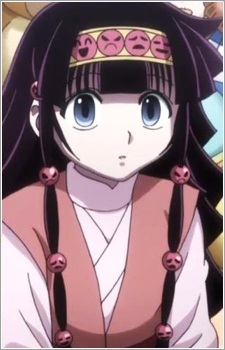 Alluka is 11 years old and is referred to as a girl by Killua, but as a boy by their other family members.